Payments may be made using MasterCard, VISA, Discover, American Express, personal check, cash, cashier's check, bank treasurer's check or money order. All returned checks are subject to $25 fee. ALL BALANCES MUST BE PAID IN FULL PRIOR TO PICKUP OR SCHEDULING DELIVERY. NO COD’s ACCEPTED. All sales tickets are audited. Errors in pricing or arithmetic are subject to correction with your approval. 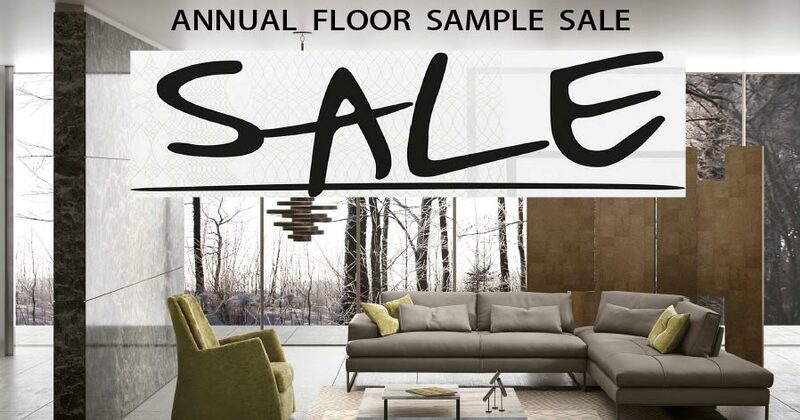 All floor samples or clearance items are sold “AS IS”. There are absolutely no returns, refunds, exchanges or service for any faults with this merchandise. Please be advised that special orders are considered custom orders. These orders are being built specifically for you, the customer. When such an order is placed, you must consider several factors regarding these orders: These orders cannot be cancelled changed or returned. Again, these are being customized to specifications, colors of choice, and finishes that you, the customer, personally chose. While items produced in the United States may ship fairly fast, please be advised that items being ordered from Europe or Canada, will take longer, 3-4 months, unless otherwise specified. Delivery of these orders depends solely on production time, container availability, weather conditions and customs. We cannot be held responsible for delays that can and may take place, therefore giving an exact date of delivery to you, the customer, is impossible. Please be advised that we do everything we can to expedite special orders and try to avoid delays. We will keep you informed of any possible delays if necessary. Once your special order is received, and any balance due is settled, we will contact you to schedule your delivery. Returns are accepted only for non-special order items not more than 3 days from a date of delivery or pickup for STORE CREDIT ONLY. All items must be unused and in original condition and in original packaging accompanied by original proof of sale. No returns on custom-assembled furniture. Customer is responsible for shipping charges of any returned merchandise. Refunds may be issued on non-special order items PRIOR TO DELIVERY OR PICK-UP. Absolutely no refunds on delivered and custom-assembled furniture. ABSOLUTELY NO CASH REFUNDS. Refunds on checks will be made by IL DÉCOR corporate office no sooner than 14 days due to bank delays. Refunds on Credit/Debit Cards will only be credited to the Bank/Debit Card originally used. DELIVERY SERVICES ARE OPTIONAL. You may choose Drop-ship, Curbside or White Glove delivery services. You are responsible for notifying us in advance of any special delivery conditions and for ensuring the merchandise will fit through doorways, stairways, corridors, elevators, etc. If delivery to a designated area is not reasonably possible, delivery will be made to an accessible area as determined by the delivery personnel. Measurements for all items purchased have been provided to the customer and it is the customer’s sole responsibility to ensure the purchased items are deliverable to the customer’s residence or office. The customer must verify all items are deliverable prior to purchase. The delivery crew will bring your furniture into your home, unpackage it and place it in the room of your choice, perform basic setup and assembly and then remove the packaging materials. Our delivery crew cannot perform any work involving structural changes or alterations to your apartment/house (e.g. drilling holes in walls, hanging shelves, mirrors, etc.) It is your responsibility to make all necessary adjustments prior or after the installation or assembly. Delivery crew cannot remove existing furniture or handle any electronic components (e.g. television, computer, stereo). Unusual deliveries (e.g. deliveries above the third floor without access to an elevator, etc.) may result in an additional charge. You are responsible for inspecting all items at the time and place of delivery. If the merchandise is damaged you should note the damage on the delivery slip and immediately notify IL DÉCOR while the delivery company is still on the premises. We cannot accept any damage claims after the delivery. Once the delivery slip is signed it is assumed that the merchandise is received in good condition. IL DÉCOR is not responsible for any indirect, special or consequential damages associated or related to your purchase or the delivery thereof.